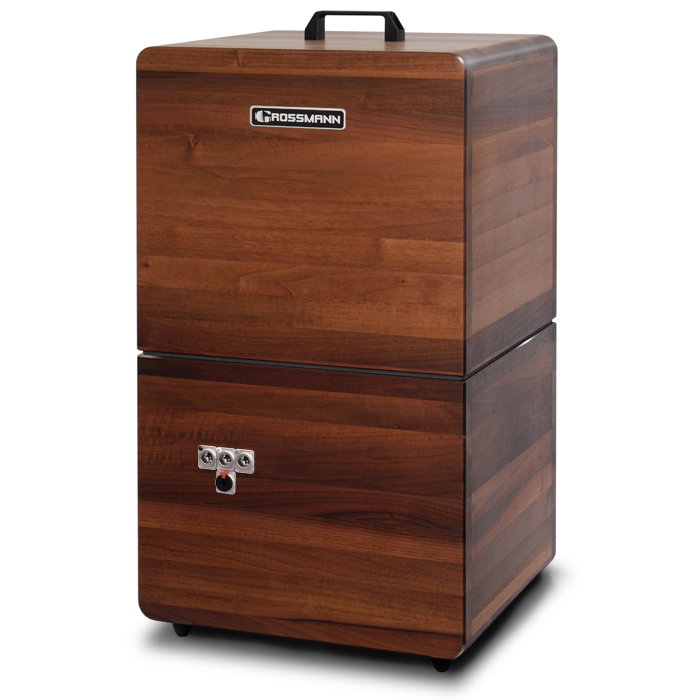 The SG-WOODBOX is an isolation cabinet made of 25mm solid walnut and is treated with wax oil. The 18mm birch plywood baffle is the absolute industry standard for bulding professional guitar cabinets.. The bottom part of the cabinet provides space for a 12″ speaker – with the boxed 10″ adapter is it possible to install 10″ speakers. Above it, up to three microphones can be attached to the specially designed microphone stands. 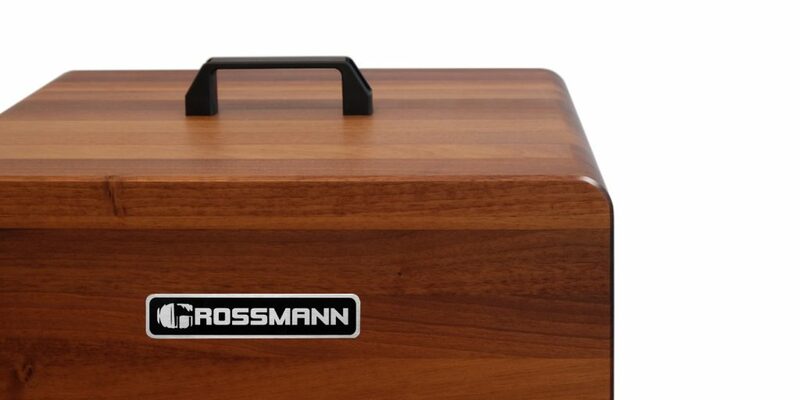 Your “recording room” is contained within the removable hood. 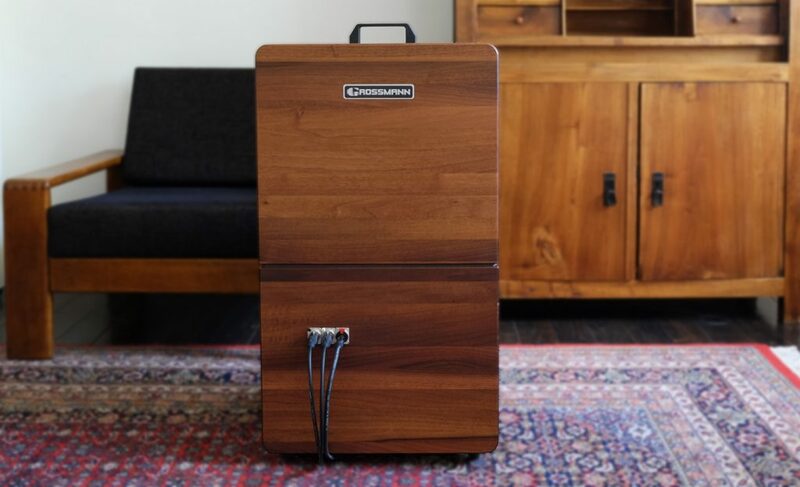 The Grossmann isolation cabinet can also be used with bass speakers. 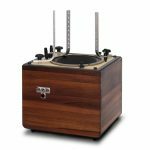 FRESCU makes it easy to insert our 10″ bass speakers – they come with an insert set (reducer ring) for the 12″ guitar speaker opening. The 10″ speaker adapter is included. Weight: about 29kg (without speaker).